Check out the stylists that make Ottawa's fav salon what it is! I have always had a clear vision of the hairstylist I want to be. A stylist who listens and makes the experience a true collaboration. It makes me so happy when our ideas become a reality. I have been in the hair styling industry for 9 years but I am in the people industry always. I love cutting, colouring and styling hair; the best part besides helping people enhance their outside, is the conn‍‍‍ection I get from spending time with people. Namaste. As a kid of about 10 years old, I had very short hair; but when I won a Bingo at the Toronto Exhibition I still picked out a curling iron as my prize. Life is so busy these days and we need to have hair that is on trend but also falls right into place with the right cut so you're not bound to your tools. Mastering these cuts complimented by natural ‍‍‍looking ‍‍‍hair colours are my specialty. I have felt so fortunate enough to have turned my passion for hairstyling into a career. My favourite part of my job is working with my client to create a haircut and colour that not only gives you confidence but makes you truly excited about your hair. I also love continuing my education and looking for fresh, new looks or ideas to suggest to my clients. 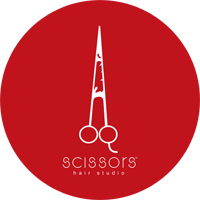 Being a member of the Scissors team for 14 years, still the best part of my job is how I make my clients feel with the looks I create. I have a passion for cutting shorter hair as well as embrace and tackle tricky colour challenges. Knowing I have made somebody happy is a great feeling to take home everyday. The transformative power of hair can truly be amazing. I am proud everyday to work closely with my clients, giving them the tools to recreate a polished look at home. With my experience in cutting and colouring techniques, it is my mission to unlock the potential that everyone has to ‍‍‍have beautiful hair. I am energetic and enthusiastic hairstylist that strives to work with individuals to turn th‍‍‍eir hair goals into reality. Constantly learning and keeping myself up to date with new techniques to keep my clients on trend is what motivates me. I share my passion with each client to make my clients feel like the best versions of themselves. Having many years of experience both in London, UK and downtown Ottawa during my hairstyling career my passion still drives me to create hair that fully embodies my client's looks and feelings. A balance of functionality and "look good – feel good" principles are vital to achieving my clients satisfaction.